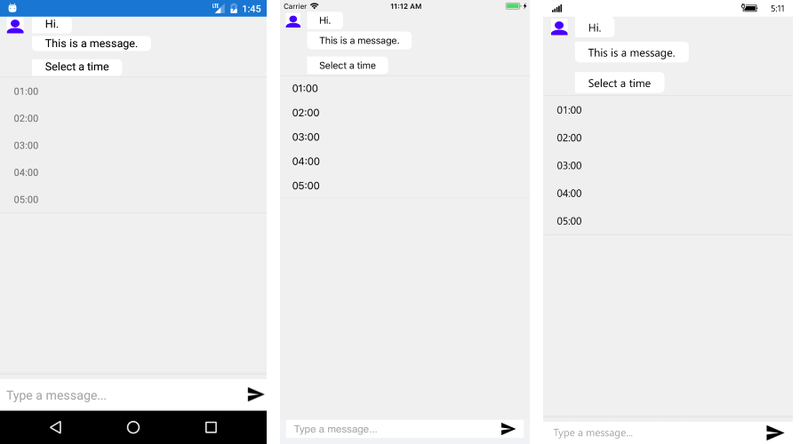 RadChatPicker control provides TimePickerContext that can be used to display a clock view to choose a time. EndTime - it is of type TimeSpan and corresponds to the time of the last clock item. TimeInterval - it is also of type TimeSpan and defines the step between the clock's items. Default value is 1 hour.